The tour will take you to the tunnel about 1000 metres long , routing the typical ore mine environment, poured by gravel and enlightened, the average annual temperature varies 7 °C (we recommend to wear warmer clothing). 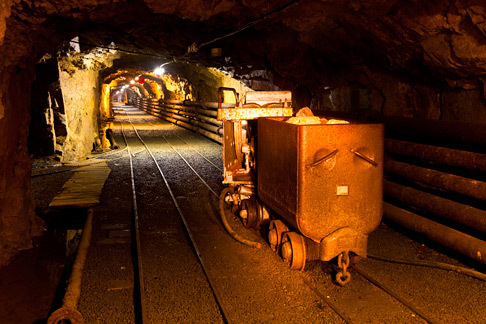 After donning a helmet at the entrance to the tunnel, you will see a complete mining elevator mine trolleys, battery- electric locomotive mining loader, etc. Guided tour lasts about 45 min. and visitors will learn a lot of things concerning work in the former ore mines. The area of the mining museum and mining gallery tour is the property of I. Krkonošská důlní s.r.o..